Ir Dr Wong is Chairman of Jetta Company Limited, which is one of the largest toy manufacturers in the world. 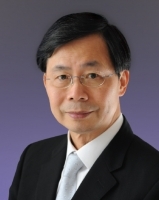 Serving the toy industry for 50 years, Dr Wong was the President of the International Council of Toy Industries and is now Honorary President of the Hong Kong Toys Council and Toys Manufacturers’ Association of Hong Kong. He was honoured with the Outstanding Award of the Hong Kong Toy Industry in 2001 and the Industrialist of the Year Award in 2011.